The LASIK Corporate Benefit Program is provided at no cost to your company. You are not asked to sign a contract to enjoy our benefit. 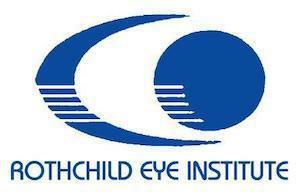 Rothchild Eye Institute takes care of everything. We will present a seminar or supply printed materials to educate your employees. our customary fee for lasik vision correction. If your company would like to take advantage of the great savings received from our CorporateBenefit Program, please contact your Human Resources representative and let them know about this exciting program. For more information, please call us toll free at 800-498-4393 or on our regular office line. With the Rothchild Institute LASIK Corporate Benefit Plan, both employees and corporations benefit. With over two million procedures performed around the world with excellent results, more people today enjoy freedom from both glasses and contacts. LASIK is a life changing experience. Substantial savings for employees and their family members. Complimentary eye evaluation and consultations. Employees just call our toll free or local number. The LASIK Corporate Benefit Program is provided at no cost to your company. Allows you to offer savings on the LASIK procedure. If your company would like to take advantage of the great savings received from our Corporate Benefit Program, please contact your Human Resources representative and let them know about this exciting program. For more information, please call us toll free at 800-498-4393 or on our regular office line.